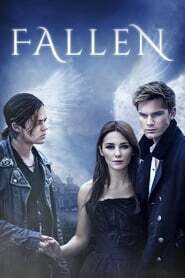 Fallen is a romantic fantasy film which is full of unmatched drama based. It is mainly based upon the novel originally written by Lauren Kate. The film is directed by the great, Scott Hicks, who also happens to have an Oscar to his name. A girl, at a tender age, is inaptly blamed for her boyfriend’s death leaving her in mental scars. As a consequence, she had to join a reform school where her life takes twists and turns as she falls in love with a fellow student. Lucinda Price, played by Addison Timlin, who had been previously been involved in a scandalous blame for the death of her boyfriend who had died in a fire shortly after they kissed, joins a reform school as therapy. 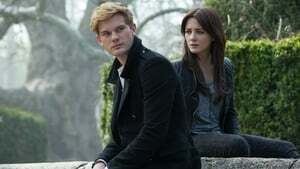 She meets many people one of which was Daniel Grigori, played by Jeremy Irvin, and towards him, she felt an uncanny connection. On the other hand, she met another fellow student, Cam Brie, played by Harrison Gilbertson, to whom she also felt a strong connection. She made a friend, Penn, played by Lola Kirke), who accompanies her throughout the movie in the supporting role. Arguably, the only reason Luce had joined Swords and Cross was in spite of some solace and inner peace after the tragedy she witnessed. But this was to change once and for all. The film slowly arcs when Luce develops feelings of attraction for a fellow student. It further pivots when it is clear that Cam also has a certain degree of affection towards Luce, little did she knew what he truly had in mind. There were surprises she was about to found herself being reincarnated every seventeen years, if baptized. And for more drama, she was about discover the unforeseen truth about her visions that she had which consisted of ink-link smudges looking shadows on the walls which occurred from time to time. Her teacher, Sophia, who also happened to be a religious scholar, was portrayed as a grey-haired woman who had a dark side to her heavenly look and unholy mysteries which are later revealed at the climax of the story. Fallen seems like a drag credited to its extensive duration with minimal activities, viewers tend to get bored halfway through the movie. The ultimate overused stereotype of two banished angels fighting for two different forces for different motives is actually an appalling plot to follow these days. Observing the masses in the 21st century, they don’t buy the horrendous Greek mythology based plots in the most common cliché is depicted where two angels descent and fight in the name of either God or Lucifer, people are not amused by this as they are uninterested or unaware of the imprecise ancient myths. It certainly never came out to be a surprise that Fallen never made its breakeven point. However, for the viewers who are fan of this genre, this movie is a must watch for them, since the director did an amazing job and complete justice to his skill in this movie.